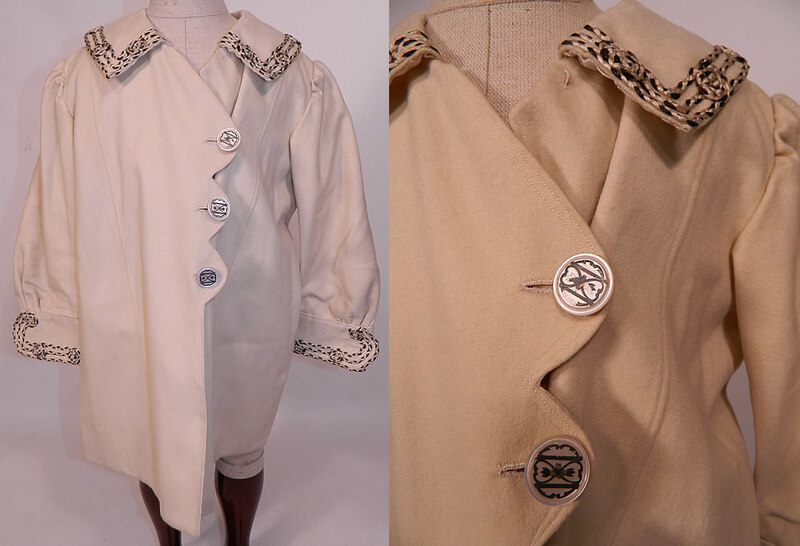 This antique Edwardian era white wool silver soutache braided trim child's winter coat dates from 1910. 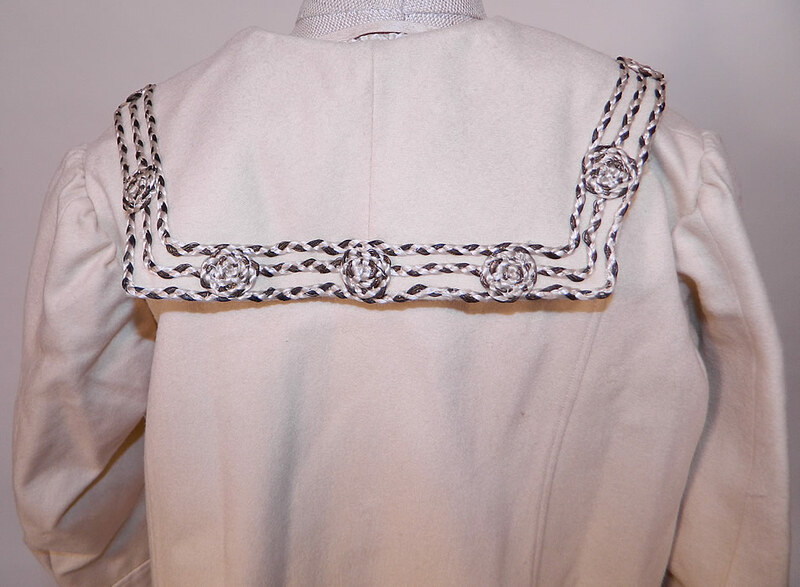 It is made of a white fine soft wool fabric, with silver and white silk soutache braided rope trim edging with knotted rosette accents. 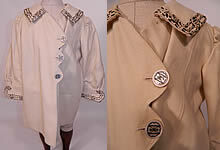 This charming child's wonderful winter traveling coat has a loose fitting, long full style, with a sailor style shawl collar, long sleeves with fitted trimmed cuffs, scalloped edge side front closure with 3 carved etched mother of pearl silver inlaid buttons and is fully lined in a polka dot white silk damask fabric inside. 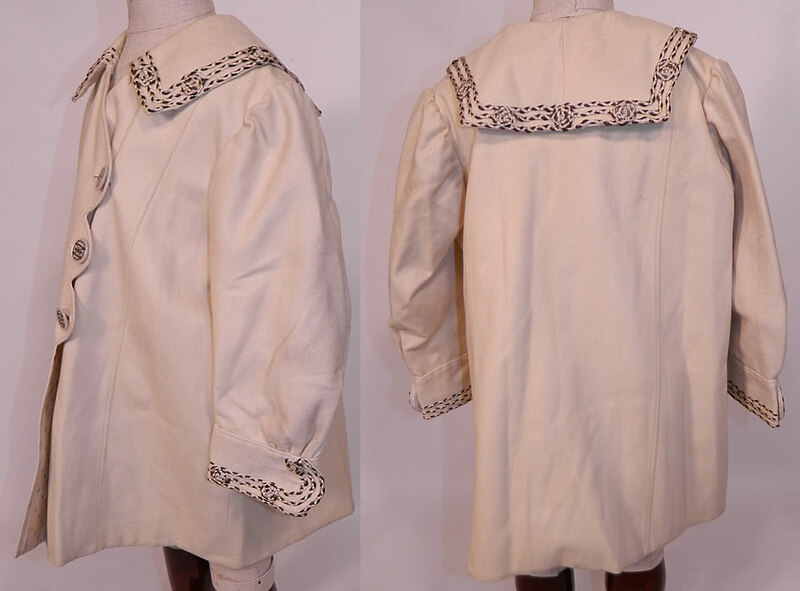 The coat measures 20 inches long, with a 36 inch waist, 30 inch chest and a 11 inch back. It is in excellent clean condition. This is truly an exceptional piece of wearable antique textile art!